It goes without saying that the goal of every retailer or producer is to make a profit - the bigger the better. But generally speaking everyone’s satisfied to see fast incomes increase. What if you could ensure your business development for a long term, having a solid strategy, knowing from the first steps that you will have constantly increasing incomes? Precisely understand what is the objective you want to reach. Offer you a strategic plan that includes each step from the sourcing to the closing of the sale. Illustrate the pluses and minuses and give you the optimal action plan. 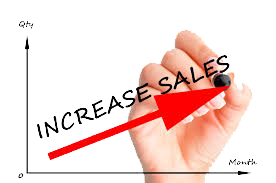 Constantly evaluate the results and offer updated sales development solutions.